You can download and print this sketch over at the Sketch Support blog. 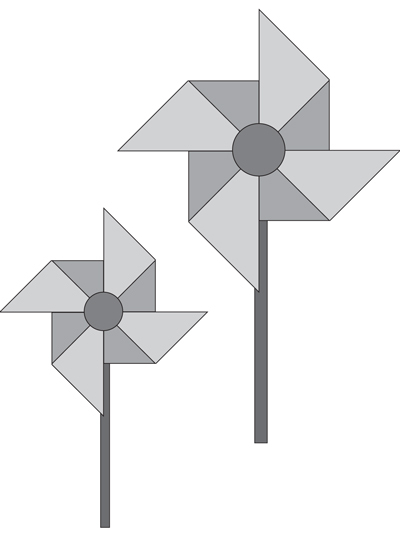 It includes instructions on how to make the pinwheels. Confession: I had never made paper pinwheels before working with this sketch. Conclusion: They are easy and fun to make, thanks to double-sided paper. Definitely worth repeating on future pages and cards. Pinwheels remind me of a party, so I added them to this page featuring some cute kid photos from our church's Block Party. I used a sketch from Sketches for Scrapbooking, One Page Sketches, Vol. 1 and supplies from my Studio Calico March kit to create this layout. Your pinwheels look great, love the gemstone centers. Great layout! I love your pinwheels. super cute! maybe a pinwheel layout in the works for me today! Wow...love it! Your pinwheels are fabulous! Well, I just love this. Your pinwheels are darling! 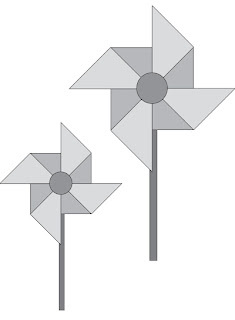 Must try to make some pinwheels..great LO! I've only made pinwheels once, but they are super fun! Love your layout and beautiful little pinwheels! So cute! I love the pinwheels. I need to give them a try. How funny, I also used pinwheels this week end! Your LO is really pretty :) Thanks for sharing!!!!! love the gemstones and pinwheels! so adorable!